For drivers in the Upper Midwest, traveling during the winter can range from slightly unsettling to deadly. Between 2011 and 2015, according to data from the National Highway Traffic Safety Administration and the Auto Insurance Center, an average of 800 fatalities occurred annually as a result of weather-related accidents. Icy roads, poor visibility, and other factors can make cold-weather commuting a dicey proposition. While we can’t control the weather (yet), we can increase our odds of navigating slush-filled roadways successfully. 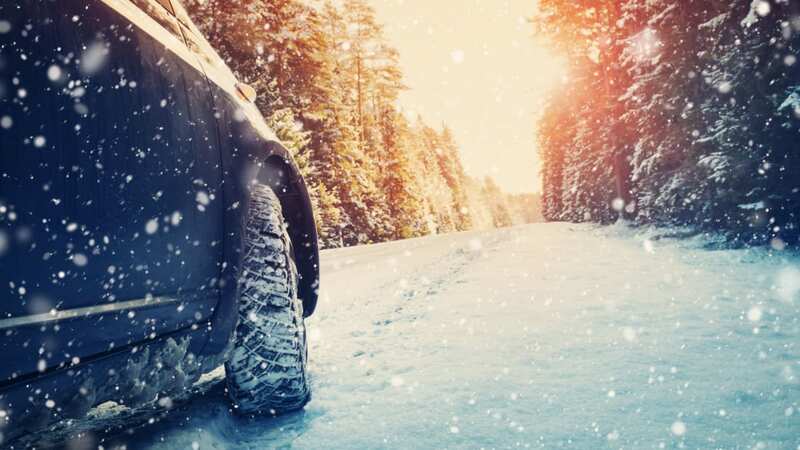 Mental Floss spoke with American Automobile Association (AAA) driving education expert William Van Tassel, Ph.D., for some key tips on how to get your winter driving in gear. Before you even start your car up for a trip through inclement weather, Van Tassel recommends you pack a worst-case scenario trunk full of supplies. “In case of emergency, you want things on board like water, a blanket, a flashlight, gloves, and kitty litter,” he says. (That last one is for traction in case you get stuck in a snowbank.) You should also have road flares, a shovel, an ice scraper, and a fully-charged cell phone to call for assistance if needed. Van Tassel also cautions to avoid becoming overconfident on snow tires. While they provide better traction in bad weather, it’s not license to speed up. 3. MAINTAIN A SAFE DISTANCE FROM OTHER CARS. You should be doing this regardless, but bad weather makes it even more crucial. Keep your vehicle at a safe distance from cars behind, in front, and off to the sides, as well as away from pedestrians or cyclists. If you need to brake suddenly, you need time—and space—to avoid a collision. “You really want more space in front,” Van Tassel says. Try to stay between seven and 10 seconds behind the vehicle ahead. That means seeing a landmark and then counting down until you pass the same marker. If you’re only a few seconds behind, you’re too close. 4. DON’T STEER INTO SKIDS. 5. KEEP YOUR HEADLIGHTS ON. Van Tassel also recommends that drivers avoid relying on fancy car technology to keep them safe. While blind spot monitoring and lane changing sensors are useful, they’re not there so you can zone out. “The tech is there to back you up if you need it. Drive the car, but don’t rely on those things,” he says.